Our sincere thanks to all the partners for their unreserved support to our program. One-2-One Charitable Trust is a non-profit organization that aims to demonstrate love in practical ways. It seeks to meet the holistic needs of the poor and vulnerable in Cambodia; the orphans, street children, people with HIV, and prisoners, meeting dental, medical, educational, vocational and physical needs, regardless of ethnicity, gender and religion. The Trust is also committed to: building up the effectiveness of local volunteers from Non-Governmental Organizations; promoting healthy living and a sustainable environment; and providing educational sponsorships and training of talented young Cambodians. Helen Keller International (HKI) started in 1915, and is dedicated to saving the sight and lives of the most underprivileged. They combat blindness and malnutrition at both the causes and the consequences. Helen Keller currently operates in more than 20 African and Asian Countries. Hong Kong Mucopolysaccharidoses and Rare Genetic Diseases Mutial Aid Group (HKMPS) is a patient support group started by patients and their families with mucopolysaccharidosis and other rare genetic diseases. 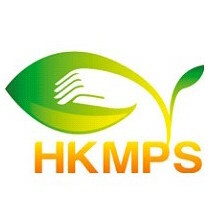 HKMPS strives to promote support for patients and their families, to advocate for resources for MPS and other rare genetic disease patients and to assist in the research and development of therapies. The Communist Youth League Committee (CYLC) of Changshun County is working to improve the living conditions in Changshun County, where poverty and lack of clean drinking water has plagued the region.